EES is designed to make licensing Microsoft software and services far easier and more cost-effective. All you have to do is provide one annual full time equivalent (FTE) staff count to obtain assured coverage for all your desktop platform products under a single, evergreen subscription agreement. 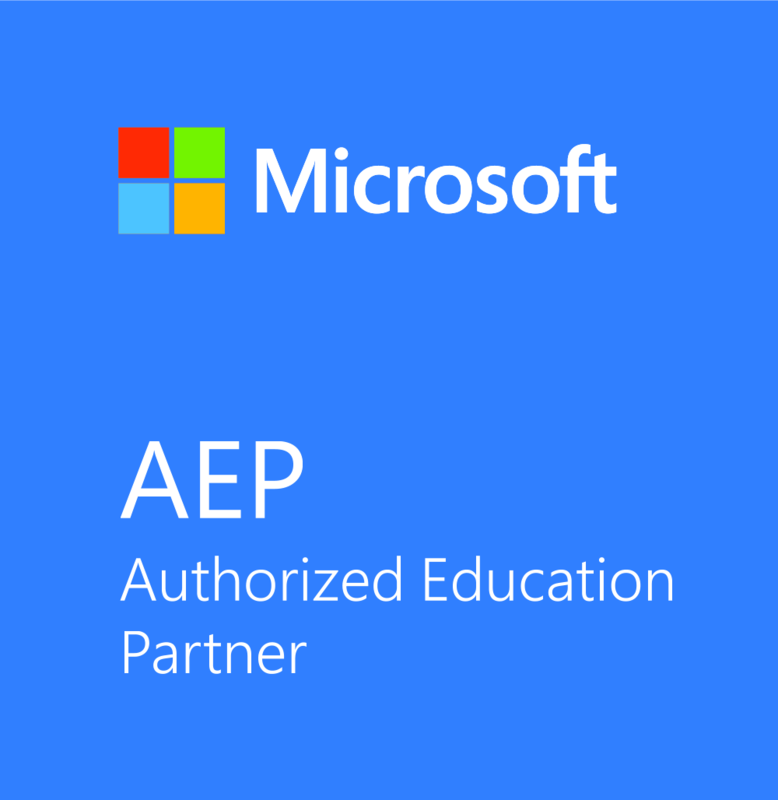 An affordable volume-based price and the rights to the latest Microsoft Enterprise software products, including: Microsoft® Office Professional Plus 2016, Windows® 10 Education, Microsoft® Core Client Access License (CAL) Suite or Microsoft® Enterprise Client Access License (ECAL) Suite. The simplicity of counting full time equivalent (FTE) staff just once per year in order to calculate your license. Software Assurance: a powerful combination of benefits that include new version rights, the Home Use Program for staff, tools and training resources. A broad selection of additional Microsoft software products that may be licensed in any quantity. Live@edu, which provides free email, calendars, document sharing, instant messaging, video chat, and mobile email. Predictable annual payments with a one-year or three-year enrolment option. Surftec is an Authorised Education Reseller. Our status is renewed annually following training and an exam. EES provides a great opportunity to provide your campus with technology that makes a real difference to learning and helps you progress towards a 21st century learning environment. Have you connected your campus yet? 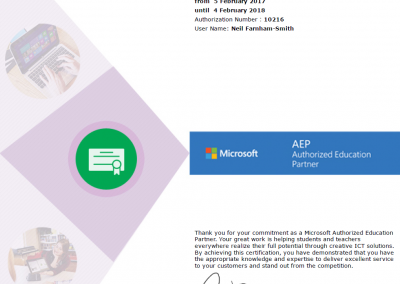 Leverage your Microsoft licence to create a secure, well-managed communication and collaboration platform for students and staff. Microsoft’s integrated technology architecture provides solutions that work together seamlessly to connect multiple campuses. These include secure communications, simple on-line collaboration and intuitive sharing of educational materials, letting you deliver more flexible learning options to students on and off campus. Do students and staff have access to the latest learning technologies? Give staff and students the latest collaboration tools at their fingertips, and the freedom to learn, share and collaborate wherever they choose. 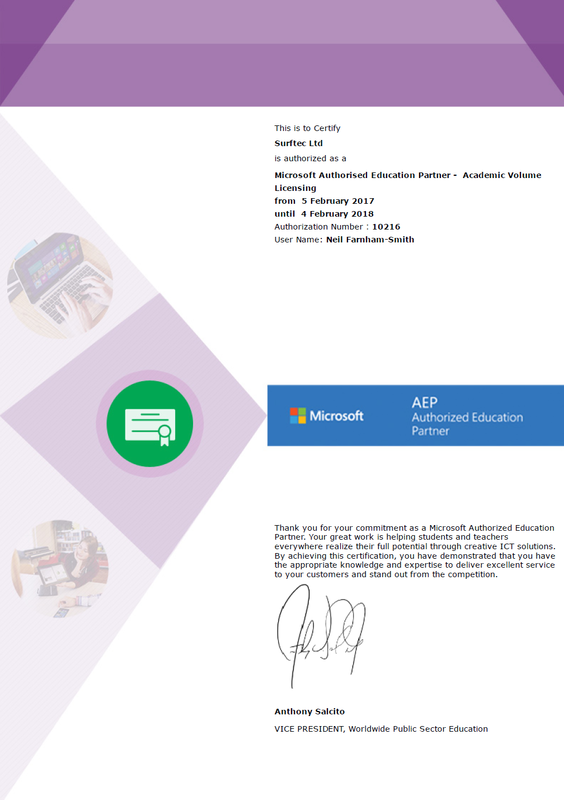 With Microsoft Enrolment for Education Solutions (EES), staff are covered to use licensed software on their own computers at no additional cost through Work At Home (WAH) rights. You can also add on affordable licensing through EES for student-owned laptops. Using products licensed through EES are affordable, you can optimise and consolidate your IT plus improve the way you manage it. For example, with Windows Server® 2012 R2 and Microsoft® System Center you can evolve toward a data centre environment that supports self-managing, user-centric, dynamic systems. Or use Microsoft hosted services for data storage, applications and updates to reduce cost. Or improve security, federation and governance with the Windows Optimized Desktop creating an optimal learning environment for all students. Are you ready for high performance computing? Give your analysts, engineers and scientists the computation resources they need for fast, efficient research and development. Instead of investing in supercomputing hardware, you can create a cluster using off-the-shelf servers, all managed by Windows® HPC Server 2012 R2, a useful adjunct to your EES licence. How do I count my FTE staff? Faculty are any employees, contractors and volunteers who teach or perform research for the intuition for more than 200 hours per annum and staff are non-faculty employees, contractors and volunteers who perform work for the instruction for more than 200 hours per annum and use an institution qualified desktop. The note about “employees such as maintenance, grounds keeping, and cafeteria staff may be excluded from the faculty/staff FTE employee count if they do not use institutional devices” still applies. You should include teachers. They have their own login accounts and make use of the computer systems within the establishment. Teaching assistants who work more than 200 hours per year but don’t have their own PC/Laptop or staff user name/log on – they just help the pupils using the computers should be included in your count. Some midday assistants work more than 200 hours per year but none of them have access to a PC, you should include them. Cleaners who work more than 200 hours per year but don’t have access to a PC, don’t have a login on the system or access to the establishments computers do not need to be included. You should include admin staff in your count. They login to the system and make heavy use of computers within the establishment. I will include the cook as they have access to a PC and their own staff username/log on. They use the computers for ordering of supplies and food and work more than 200 hours per year. Kitchen assistants work more than 200 hours per year but don’t have access to a PC, or login account on the school system, do not have any need to use establishment computers do not need to be included.